Come to Salem, see the world. 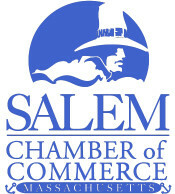 The Salem Film Festival is back with dozens of documentary films from across the globe. They’ve been hard at work cultivating a list of amazing films featuring perspectives from around world for you to enjoy. Find out for yourself today. You know that SFF is more than films though. It’s music. It’s live events and parties. It’s an opportunity for a community to come together, thanks to our sponsors.